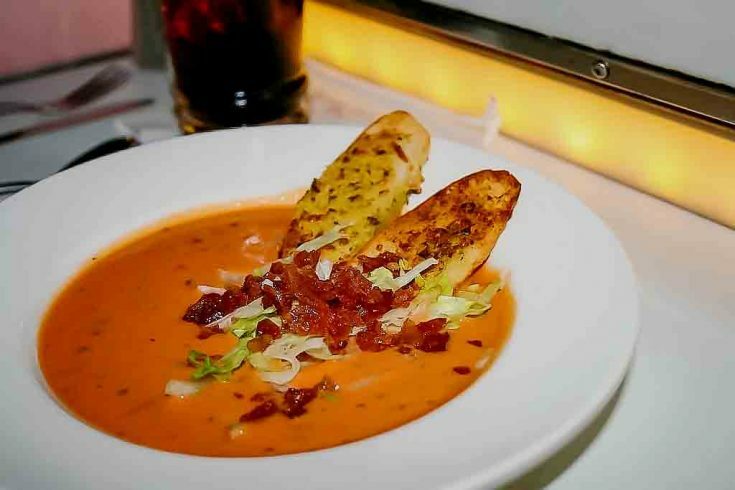 The BLT Soup is no longer on the Sci-Fi Dine-In Theater's menu. This creamy bowl of soup recipe was a wonderful addition to this dining experience at Disney's Hollywood Studios! The Sci-Fi Dine-In Theater located at The Walt Disney World Hollywood studios is unique! 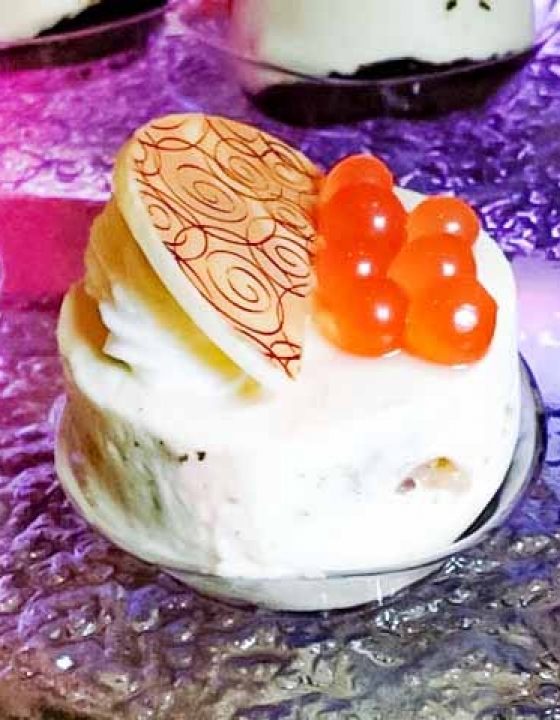 What makes the Sci-Fi Dine-In Theater stand out from the other dining locations in Disney’s Hollywood Studios is how you eat! You are not just dining you are at the drive-in movie theater! That is right the Disney’s Sci-fi Dine-in Theater restaurant is actually set up to be little cars, which is your table. As you eat, which is in a dark lit area to resemble night time, you watch some B movies on a huge screen! This dining location in Hollywood Studios is a must eat at place. Do dinner and a show ’50s-style at our drive-in “theater,” featuring all-American cuisine and sci-fi movie clips. Disney retires food from their various restaurant menus. What you have dined on 2005 may not be on the menu in 2018. 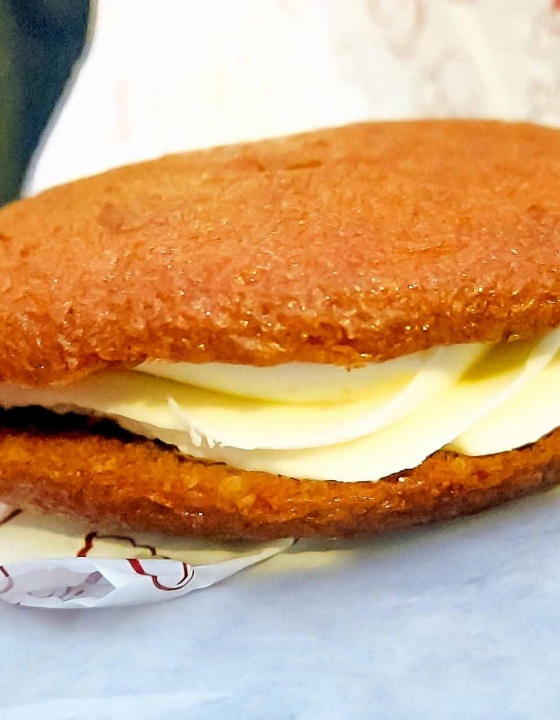 Many Disney recipes have joined the retired menu items category. Sadly the BLT soup on the Sci-Fi Dine-In Theater restaurant menu was retired. 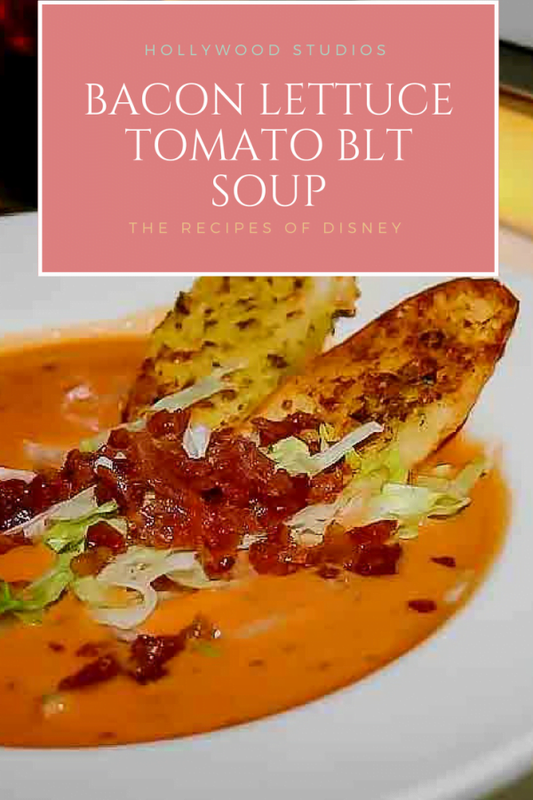 When I polled Disney fans, this BLT soup was listed in the top 10 of favorite Disney soup recipes that were loved. 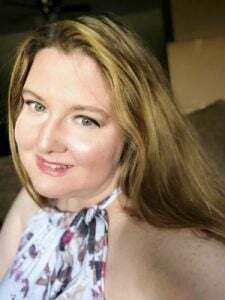 One thing that is good about The Recipes Of Disney, I have many of these beloved food recipes. 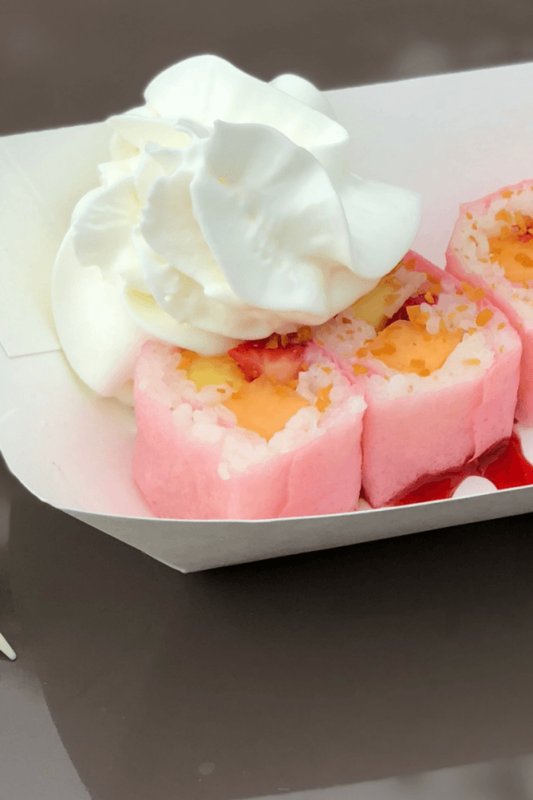 Many of these Disney dining staples can live on from the recipe collection, even if Disney did retire them off the menu. This soup was creamy and very good. I was sad to see it is no longer on the Sci-Fi menu. 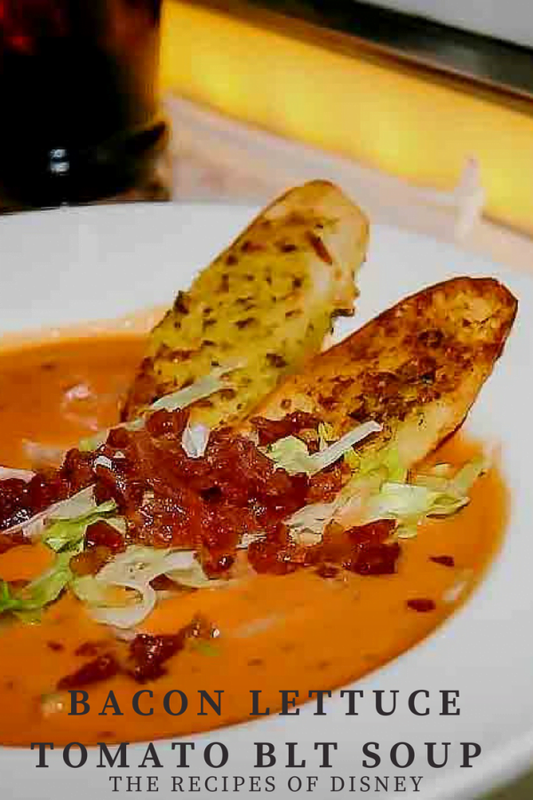 The Bacon Lettuce Tomato (BLT Soup) from The Hollywood Studios Sci-Fi Dine-In Theater. This old Disney recipe is still a favorite! Cook soup according to directions on can. 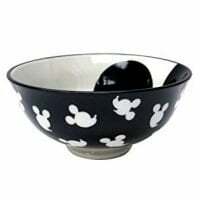 After soup is cooked, ladle into a bowl. Add 1 ounce of shredded lettuce on top of toast. Add 1 ounce of chopped bacon on top of lettuce. 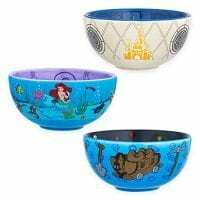 Disney Walt Disney World Mini Bowl Set - 3-Pc.